With respect to the claims regarding agriculture, ecology and land use made by Jacobson, et al (2013) the following claims will be evaluated for their feasibility. There was little to no mention of agriculture in the 2013 study. We will therefore present many of our own claims and proposed changes to the current agricultural system. The infrastructure for all proposed sources of energy are environmentally safe and will not interfere with the ecosystems of the areas where they are implemented. (While this is not a specific claim addressed in any section of the 2013 Jacobson study, it is an assumption made by Jacobson that will be evaluated). There are 4,000 premature deaths a year in New York State due to air pollution. (Section 8 of the 2013 Jacobson study). Natural Gas, solid and liquid biofuels and nuclear power all present too many negative ecological effects to be included in a long term energy plan. (Section 2 of the 2013 Jacobson study). 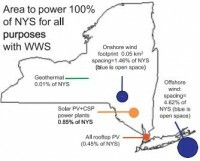 The following percentages of New York State would need to be set aside for the specified types of energy infrastructure needed to produce the necessary amount of energy to power the whole state. (section 4 of the Jacobson study). 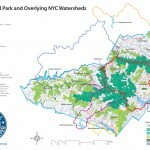 0.45% of New York State for small solar panels. These panels would only be placed on preexisting rooftops and developed spaces. Farmlands currently cover 38% of the world’s land area and is being expanded. (24) This expansion causes the destruction of existing habitats and the endangerment of the species that live there. You may click on all images to enlarge them or to be brought to their original website. The use of natural fertilizers is better and less expensive for farmers to use than synthetic fertilizers. Natural fertilizers provide better nutrients for the soil, help soil retain more water, and helps prevent erosion. In addition to this farmers can adopted the method of conservation tillage, which cuts soil and water losses by leaving a protective crop residue on the soil surface to protect soil from wind and rain. The use of organic pest control instead of pesticides or chemicals. Organic pest control is far less polluting. These include bats, spiders, sticky traps, homemade oils or soap remedies, and other insects that will get rid of plant pests. Ecological Farming, Agriculture that enables communities to produce enough food for themselves. This form of farming leads to increased crop yields of 30% more food per hectare than conventional means. In developing countries this percentage is 80%. (1) Economically it costs less to manage; using natural fertilizers and pest control, and the food grown is usually much healthier and tastes better. Don’t need to use synthetic chemicals that cause pollution. Keep agricultural control in the hands of farmer’s not corporate businesses. By keeping everything locally owned, no corporations can influence negative change to these farming practices. Bio diverse Farming uses a mix of different crops and plant varieties in a given field. This is a reliable and effective farming method to ensure against climate change or erratic weather changes. The use of one crop in a wide area could lead to detrimental problems if the weather destroyed the fields, but with bio diversity the crops are overall more resilient. Many farms like to contain their animals inside buildings that require a lot of energy to regulate the air quality and control the temperature inside. The indoor air needs to be replaced regularly to remove moisture, toxic gases, odors, and dusts. Solar air heaters can be used to replace current energy consuming systems and preheat incoming fresh air instead. With proper planning these systems can also use natural ventilation systems during the summer. The Solar heating systems can also provide the hot water needed to clean pens or equipment. Commercial dairy farms, one of the predominant farms in New York, can consume up to 40% of their total energy consumption on just heating water, solar heating water can be used to satisfy all water heating energy requirements (26). Many commercial greenhouses use the sun as a light source, but unfortunately they still rely on fossil fuels for heating especially in the colder months. Solar greenhouses are designed to use the sun as both a light source and a heating source. A solar greenhouse collects and stores solar energy because of its thermal mass and has sufficient insulation to retain this gathered heat at night or on cloudy days. A solar greenhouse is oriented to maximize southern glazing exposure while the north side has little or no glazing but is well insulated. Gas or oil heaters are available as backup sources. Solar electric, also known as PV systems convert sunlight energy and convert it straight into electricity. Some farms are in areas without utility lines, making PV systems a lot cheaper and a lot easier to maintain as well. PV systems are very reliable and can continue to produce power in all types of weather. On partly cloudy days they can still produce up to 80%, and on extremely overcast days they can still produce up to 25% maximum output. They can survive hail, high winds, and freeze-thaw cycles. (26) PV systems are not difficult to install. Manufacturers of PV systems make sure their products come with literature or telephone service for “do it yourself” customers. The more intricate systems usually come with professional installation with the purchase anyways. And just in case something does go wrong most PV systems come with 20-25 year warranties today (26) The most cost effective water pumping option would have to be PV water pumping systems. These systems are especially well suited for grazing operations to supply water to remote pastures. This system works hardest in the hot summer months when they are needed the most. It has been proven to work in New York for seasonal use. Some other ways PV systems can help the farms in New York is to provide energy for lighting, small motors, and even ventilation. Dairy farming is the main agriculture use in New York state, and livestock is the main production of GHG emissions. Annual GHG emissions from agricultural sources in New York State range between about 5.3 and 5.4 MMtCO2e during the time period between 1990 and 2030, generally staying stable over time. 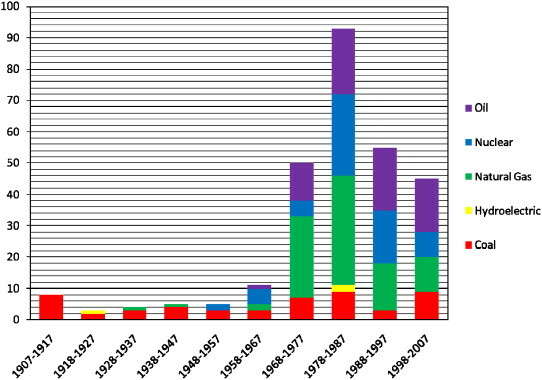 Enteric fermentation accounted for about 54% (2.9 MMtCO2e) of total agricultural emissions in both 1990 and 2030. The manure management category accounted for 14% (0.8 MMtCO2e) of total agricultural emissions in 1990 and is estimated to account for about 18% (1.0 MMtCO2e) of total agricultural emissions in 2030. The agricultural soils category shows 1990 emissions accounting for 32% (1.7 MMtCO2e) of total agricultural emissions and 2030 emissions estimated to be about 28% (1.5 MMtCO2e) of total agricultural emissions. By these trends it seems that GHG emissions will remain the same after 2015. (54)But it has been calculated that with a wider adoption of existing best practices and technologies in feeding, health and husbandry, and manure management, as well as greater use of currently underutilized technologies such as biogas generators and energy-saving devices, could help the global livestock sector cut its outputs of global warming gases as much as 30 percent by becoming more efficient and reducing energy waste. (53) The global claims can be correlated to a much smaller community of dairy farms as well, therefore it should also be possible to cut GHG emissions by about 30 percent in NYS as well. In 2014, $451 million was invested on solar installations in New York. This represents a 33% increase over the previous year, and is expected to grow again this year. Claim: The infrastructure for all proposed sources of energy are environmentally safe and will not interfere with the ecosystems of the areas where they are implemented. (While this is not a specific claim addressed in any section of the 2013 Jacobson study, it is an assumption made by Jacobson that will be evaluated). Due to the design of wind turbines, they consume a small percentage of land. However they do consume a large amount of air space. The majority of this air space was previously used by birds and bats. Therefore installing wind turbines does impact avian life. The impacts include mortality rate due to collisions, barrier effect, and displacement due to disturbance and habitat loss (9). Birds lack the ability to navigate around man made infrastructure, as can be seen by the number of birds colliding into windows and buildings. They therefore also lack the ability the navigate around turbines, especially when moving. It is estimated that between 140,000 and 328,000 birds die each year from collisions with wind turbines (46). Other studies cited though have recommended methods for decreasing this rate. It has found that bats tend to move during low wind speeds. It is therefore recommended to not have wind turbines move during low wind speeds (10). To also reduce collisions by preventing the barrier effect it is recommended that wind turbines are all aligned in the same direction, in in close clusters, perpendicular to the flight path with corridors to allow birds to fly through the turbines (9). To avoid disturbances and habitat loss construction should try not to disturb the habitat. Wind turbines should be placed in fields as to not destroy the lands surrounding the turbine during construction. Wind turbines will produce a low frequency noise when in motion. While people may be concerned that there are negative health effects to being exposed to this noise there has been no evidence able to prove that there are negative effects (11). Humans are in fact exposed to many different frequencies on a daily basis, radios, television exc… It has also not been able to be proven that these sources of noise cause negative effects to human health. In addition only 4-10 % of people found this level of noise to be disturbing. This annoyance can be decreased by not placing wind turbines near populated areas. Shadow flickers from turbines may also produce annoyance and in rare cases my cause an epileptic seizure. This can be prevented by those who are prone to seizures avoiding these areas. 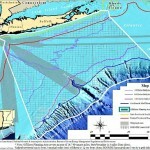 Offshore wind compose the largest part of the proposed NYS Energy Plan. It is therefore more even more important to ensure that the infrastructure is environmentally safe given the large number of turbines that will be constructed. Fortunately offshore wind farms have already been implemented in areas like Denmark and extensive case studies have been performed on them. The extent that offshore wind turbines would effect sea life depends on two factors, the way the construction is performed and the type of sea life that lives in that area. Fortunately due to the high traffic in the waters surrounding New York, most sea life will be accustomed to activity and man made infrastructure. The construction of the proposed wind turbines though could do damage to the bedrock and cause injuries to sea life. Therefore in addition to these recommendations there should be environmental monitoring of the area before, after and during construction. Due to sea water, tidal currents and increased wind speed in these areas, the wind turbines will be experiencing much more stress and pressure than onshore wind turbines. These wind turbines should then be made sturdier to withstand these forces as damage can pollute the surrounding water and repairs will be costly do to the location of the turbines. Before construction a warning signal should be released to scare away all wildlife so that they are not effected by the even louder noises of construction. Waste management be strictly enforced and all materials brought to site are accounted for before leaving to ensure no pollution to the site. As mentioned above wind turbines impose certain threats on avian life. Offshore wind magnified these threats. This is due to the migration flyways of birds. (See diagram below). 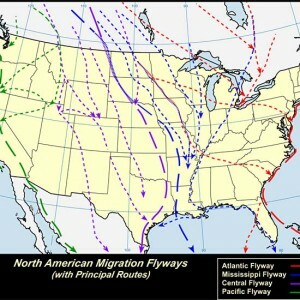 Most birds follow the coast when migrating. Since the proposed wind turbines will be right along the coast, the increase bird traffic will most likely lead to an increased mortality rate amongst birds. This mortality rate can be decrease though by placing wind turbines farther off the coast where there will be less traffic. There are a variety of different ways to harness solar energy. They include..
Rooftop PV panel: Rooftop PV panels pose little environmental impact once installed and operational. They only consume land that is already being used, which does not disturb environments, and produces no waste. However, they do have environmental impacts in construction and disposal. Using current practices, the construction of solar panels will require carbon dioxide and other emissions to be produced in the process of creating the needed energy. This will be reduced once the proper infrastructure is in place to produce energy using renewable resources. The construction of the panel and the materials needed propose a much harder impact to correct for. Many different acids are needed to clean and purify the semiconductors in the panels (13) and materials such as crystalline silica are needed to make the semiconductors (14). These materials pose health risk to the workers making the panels and should be dealt with carefully to avoid negative health effects. These panels should be made to last as longer as possible due to the fact that they must be disposed of carefully due to the materials they possess. PV plants: PV plants pose all of the same environmental risk stated above with the additional need for land. To reduce the amount of green space consumed to construct these plants, they may e constructed on preexisting brownfield. Concentrated Solar plants (CSP): Concentrated solar plants will also require large portions of land to be operated on. Once again this requirement can be reduced by constructing on brown fields. CSP in addition require water to operate. The amount of water needed depends on the technology used. Wet-recirculating technology is considered to be more efficient than dry-cooling technology, however it requires around 625 gallons of water per megawatt-hour of electricity produced (13). Dry-cooling technology is less efficient with efficiency decreasing as temperature rise (14). It does however require up to 90 percent less water to operate because of recycled steam. Premature deaths are cause by either ozone or particle pollution. 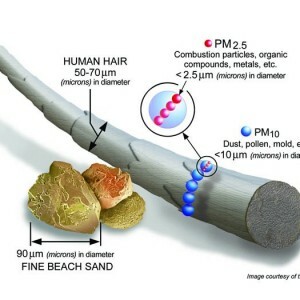 Particle pollution are approximately 2.5 microns in diameter and are therefore referred to as PM2.5. (For size reference see image below). This small particle size means that these particles can slip past our bodies natural defenses for other air pollutants such as coughing or sneezing. They effect health by being breathed in, entering our lungs and then passing into our blood stream and displacing oxygen molecules (18). This can cause respiratory and cardiovascular problems with has full body impacts. Children and adults are more prone to problems due to their weaker immune systems and also because children are still developing (19). Pollution can cause short term and long term effects. If pollution sharply increases for a day people will suffer from immediate problem such as asthma attacks. If people are exposed to pollutants long term they may experience permanent damage and may develop cancer (18). Therefore air pollution increases the premature death rate. In his study, Jacobson recognizes two ways of calculating mortality rate, top-down and bottom-up. The top-down approach finds the total number of premature deaths due to air pollution in the United States and multiples it by the percentage of the population that comes from New York State to find the number of premature death in New York States. As Jacobson mentions in his paper this method is prone to errors due to the fact that air pollution is not equal in all parts of the country. Therefore mortality rate will also differ in different parts of the country, as can be seen in the map below. This method is therefore not accurate. 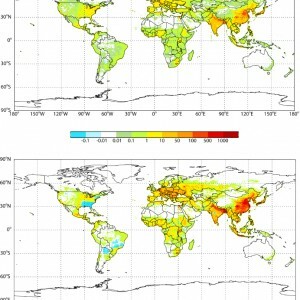 Below are maps of the estimated annual mortality rate due to air pollutant (17). The Bottom up approach finds the amount of ozone and PM 2.5 for a certain area, NYS, and calculates the premature death rate using this amount, population and other factors described in his 2010 study. 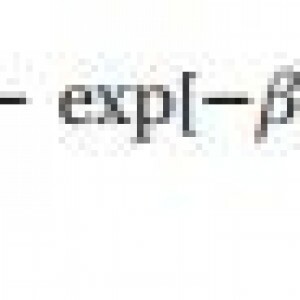 The equation both Jacobson and Caiazzo (44) use in there studies is below. In this equation y is the premature death rate, yo is the current death rate, beta is a constant based on the area of the study, xi is the concentration of pollutants, xth is threshold concentration and P is the population. Using this information we can predict a more accurate death rate from PM2.5 based on more accurate data. The equation above show that there is a direct correlation between factors such as PM2.5 particles death rate and the population premature death rate. Therefore if any of these factors were to increase the premature death rate would increase and if any decreased, the premature death rate would decrease. The table below shows population (20) (34) and PM2.5 (20) (33) amounts for various regions in NYS . This table shows that while population has stayed relatively the same, the DEC has recorded a decreasing amount of PM2.5. In addition the death rate for 2010 was found to be 799 moralities/yr 100,000 (45) which is less than the 833 moralities/yr per 100,000. This evidence therefore concludes that the premature death rate due to PM2.5 has decreased from 2006-2010 as the PM2.5 amount decreased. There may be some inaccuracies though due to less PM2.5 data in 2010 than 2006 due to the shutdown of some monitoring centers. Jacobson also found a small percentage of premature deaths to be attributed to by ozone. Jacobson set the threshold for premature mortality at 35 ppb. Since our current ozone levels do not cross over this threshold often (35), it can be assumed that very few to no premature deaths can be attributed to ozone. Natural gas poses many negative ecological effects. Mining for gas can destroy the surrounding environment and transport requires energy which is often done through burning of those resources. When burned, natural gas produces 1135 lbs/MWh of carbon dioxide, 0.1 lbs/MWh of sulfur dioxide, and 1.7 lbs/MWh of nitrogen oxides (36). Burning natural gas also produces methane which can be capture however unlikely to be completely capture. Even though this produces less pollution than methods like coal, it is more environmentally friendly to just use completely pollutant free forms of energy. Therefore natural gas has been eliminated from the proposed energy plan. Jacobson cites two reasons as to why biofuels were not included in the long term NYS energy plan. The first was that it requires much more land area to produce as compared to electricity. The second being the combustion effects still produce air pollution and health effects (20). The NYSERDA (New York State Energy Research and Development Authority) plan contradicts Jacobson by including biofuels in it’s NYS energy plan. Their reason for this decision are biomasses are already being produced and therefore should be use to assist in producing energy for NYS needs. They do not however “include any primary research or detailed analysis of air emissions from biofuel combustion” (21). Because of this release of air pollutants during combustion, biomass should not be used as a permanent solution. However since it produces less pollutants than other sources such as coal, it may be used as a transition fuels helping to eliminate coal and oil before being phased out as we move to a completely 100% WWS system. Solid biofuels can then be allowed to be composed and made into fertilizers for use on farms. Nuclear power was eliminated from the plan due to the rarity of the materials used and the toxicity of the materials produced. Nuclear material are radioactive. When humans experience long term radiation, our DNA can suffer from mutation which can be passed to offspring and may trigger cancer (30). In addition past nuclear accidents have demonstrated the significant damage that can be done in the event of a nuclear accident. (See graph below for frequency of these accidents). Accidents such as Chernobyl which killed at least 4056 people, the death toll based on long term effects is larger, and cost about $7 billion in property damage (29) and the Fukushima for which the death toll and property damage is still being calculated. While these nuclear accidents are not always as sever as Chernobyl they have accumulated a larger death toll and cost in property damage over the years making them unwise to include in a long term plan. Energy accident frequency by decade and source, 1907-2007. Source 29. In conclusion, the proposed infrastructure from the Jacobson study can produce negative ecological effects. We should therefore introduce the methods mentioned above as to mitigate the negative effects and monitor the areas were this technology is implemented to check for damages. With all these technologies, there will be a carbon and air pollution sunk cost for construction. However the long term benefits of producing clean energy should compensate for these sunk cost. Jacobson claim that there are 4,000 premature deaths in New York State due to air pollution has been proven to be a higher estimate than the current premature death rate because of the decrease in air pollution and the overall death rate over the last few years. Lastly, we agree with Jacobson claims that natural gas, solid and liquid biofuels and nuclear power all present too many negative ecological effects to be included in a long term energy plan. 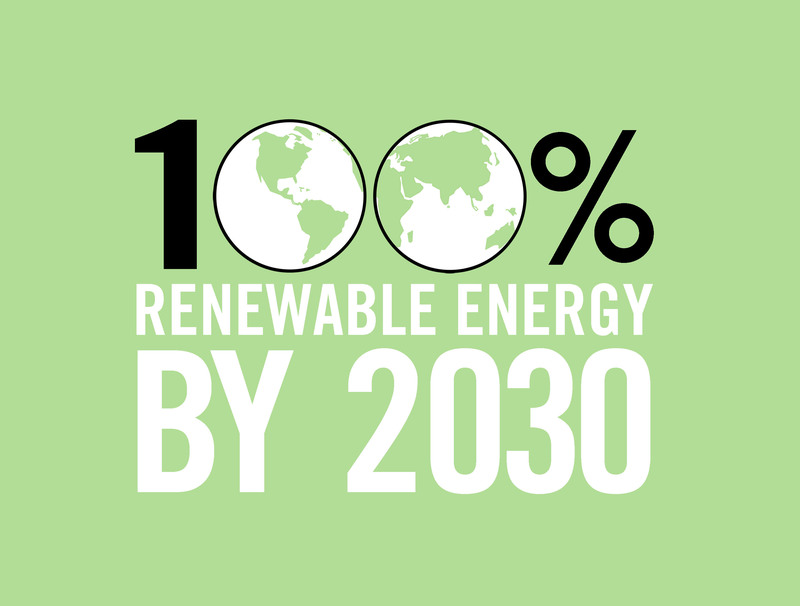 These sources produce air pollutants, and radioactive materials in the case of nuclear power, and therefore should be eliminated from use once the technology and support to switch over to 100% wind water and solar energy is produced. 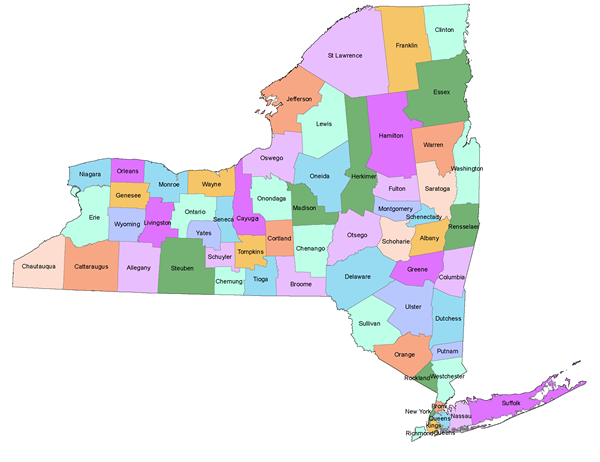 Claim: The following percentages of New York State would need to be set aside for the specified types of energy infrastructure needed to produce the necessary amount of energy to power the whole state. (section 4 of the Jacobson study). 0.45% of New York State for small solar panels. Zones are what municipalities divide their land into and place different regulations as to what can and cannot happen on said land. The regulations for each municipality are available publicly and are subject to change. Although Geothermal Power Plants may not be feasible in New York State, Geothermal energy can be harnessed to heat homes in the form of open-loop, closed-loop, or standing column systems. Registration and certification from the Division of Water is required for drilling and pump installation for open-loop or standing column systems. Registration is not required for closed-loop geothermal systems with boreholes drilled up to 500 feet. 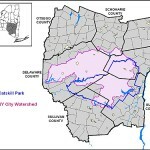 Because of the vertical nature of Geothermal sites, and because regulations do not force upon lateral development, 0.01% of New York State can be allotted to Geothermal Energy. 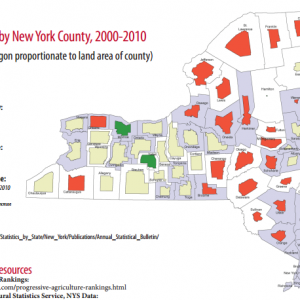 The justification for whether 0.01% of NYS would be needed was not explored. Aside from regions near the Great Lakes and Atlantic Ocean, the area with the highest wind energy potential seems to be around the Catskill mountains. This would take up 16.47 square miles. A 63 x 64 grid was used to estimate the amount of square miles this would take up. 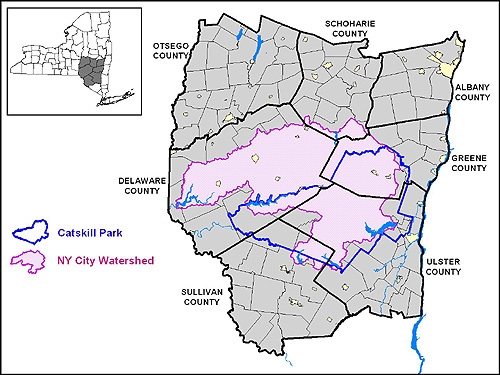 Note that a portion of the Catskill Mountains is part of the Catskill Park which is protected by the government. A 16.47 square mile portion of the land available. 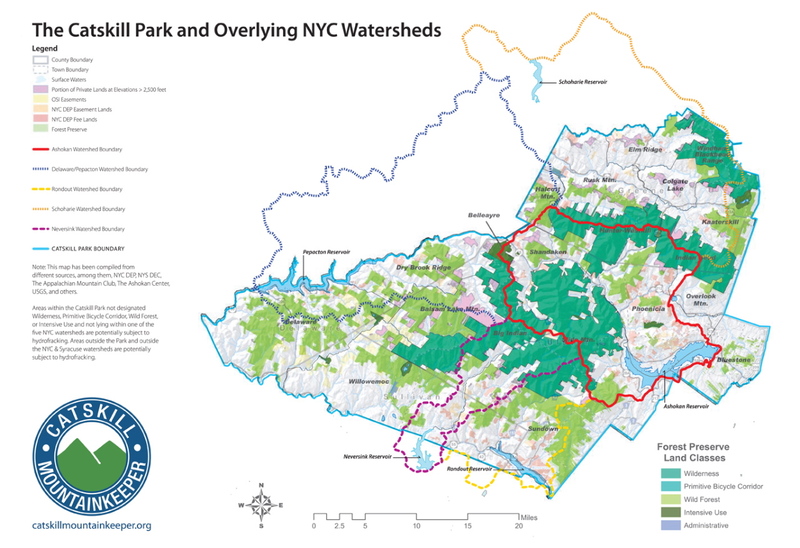 This amount is significantly less than 1.46% of New York State’s land. 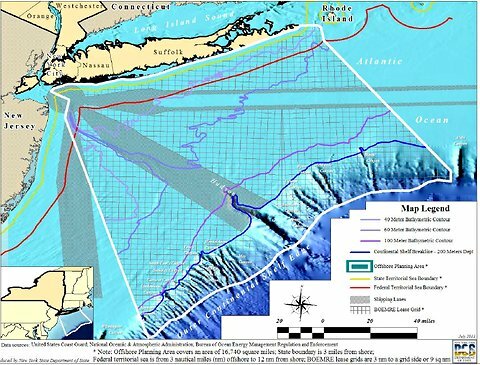 The capacity map looks toward the Long Island offshore area for high wind capacity. 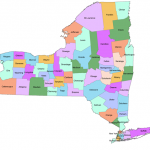 Although there is no justification that 4.62% of New York State needs to be set aside, as the map shows there is at least 2520 sq miles, roughly 4.62% of New York available for lease. Although solar rights encourage the use of solar power among communities and municipalities, they also conflict with potential growth with regards to the environment or infrastructure. Buildings, trees and such can be seen as obstructing an individual’s solar rights. 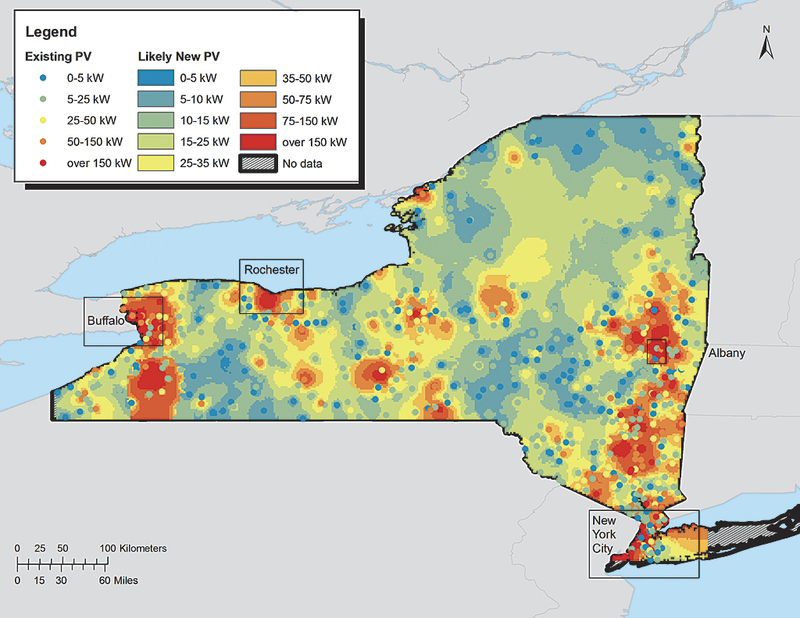 A New York State map of Solar Photo-voltaic / Concentrated Solar Power potential overlapped over current Photo-voltaic sources. 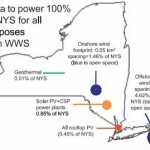 The claim that 0.85% of New York State will need to be set aside for solar based plants is not explored, however at least 0.85% of New York State is viable according to the potential map for solar based energy plants. Conclusion: Although regulations may alter the actual amount of land used, there is still enough land in NYS to appropriate to Geothermal and WWS energy.